I've known this sweet little family for a few years now, ever since Zac's brother got married! They are the kind of people you just enjoy being around because they are so kind and sweet. 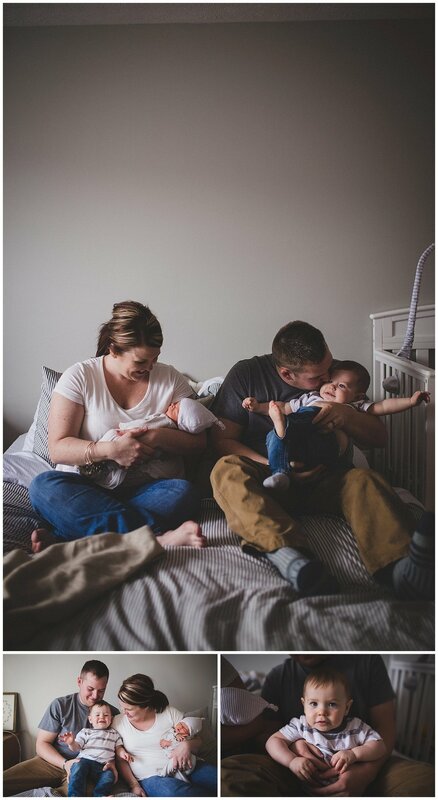 I actually had the privilege of doing maternity photos for them when they were expecting their first baby boy so it was so exciting when Bri contacted me to tell their Birth Story for baby boy #2! On a very cold, windy February day we met up with maternity photos and talk details for the birth that was a few weeks away. 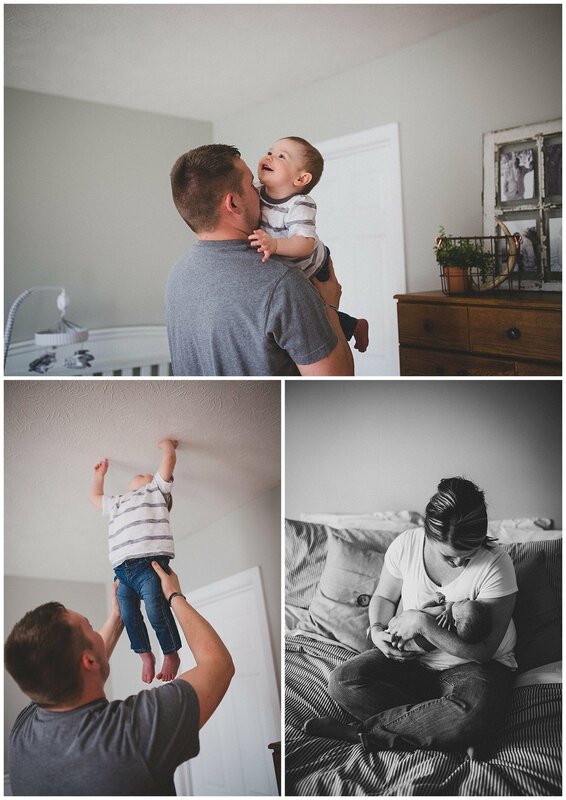 (side note: I promise to go back and share some of their maternity session soon!) Little did we know that we would have fewer weeks that expected! Their little guy decided to make his grand arrival 3 weeks early. Unfortunately it also happened to be while I was in Texas photographing a wedding. I got Bri's text saying her water broke as I was walking to the car moments after hugging the bride + groom. I could have about cried! Thankfully Sara Parker (Sara Parker Photography) was able to fill in for me and did a wonderful job! So that brings us to the newborn session. We had a perfectly springy day, with just the right amount of sunshine streaming into the windows of Zac and Bri's house. 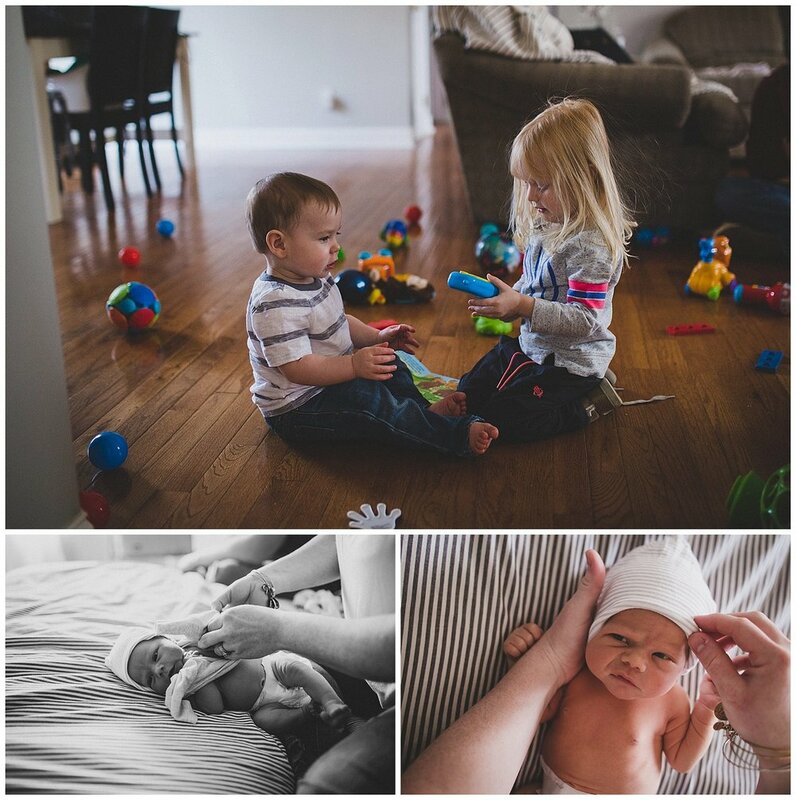 I loved getting to meet Grey and to get in a few baby snuggles. Also, Ellie (and Mike) tagged along so she had a blast playing with Rhett! 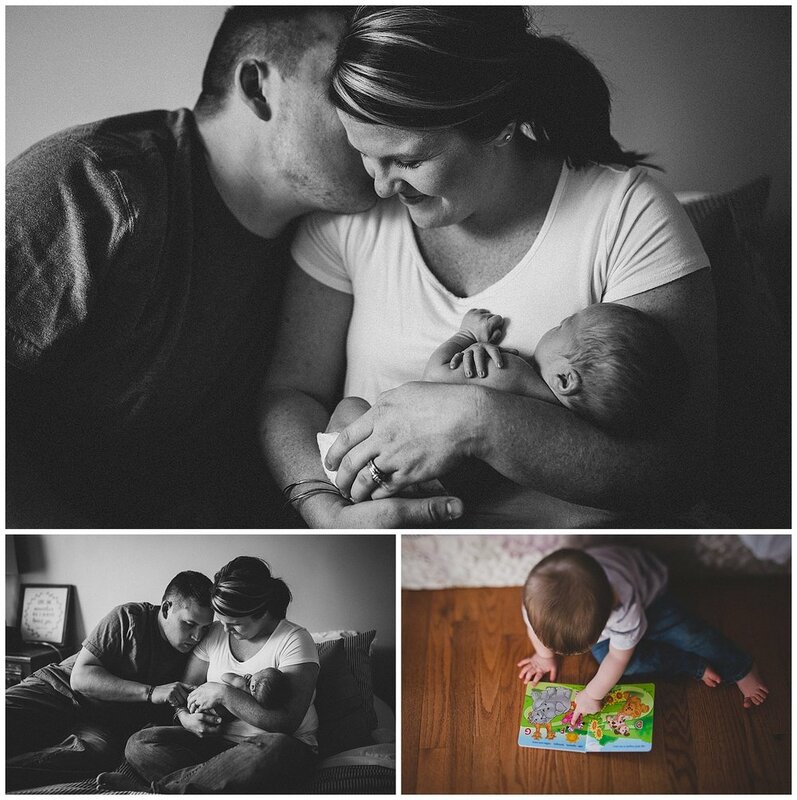 Zac and Bri, thanks again for inviting me into your home and trusting me with your special memories! You guys are wonderful and I hope you treasure these images for years to come.